It's estimated that 4-6% of Americans have spondylolisthesis. Most of them live for years without pain, but once you begin to develop symptoms, you may need surgery to repair the slipped vertebra. 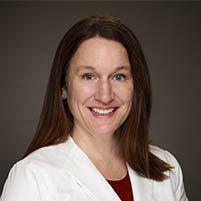 Dr. Carrie Shulman at The Florida Center for Minimally Invasive Neurosurgery has extensive experience helping patients relieve their symptoms and performing surgery to repair spondylolisthesis. To get an evaluation of your back or leg pain, call the office in Clearwater, Tampa Bay, Florida, or book an appointment online. Spondylolisthesis occurs when a vertebra -- one of the bones in your spine -- slips forward and out of alignment with the rest of your spine. It can happen in your cervical spine (neck), but it’s most common in your lower back. Daily wear and tear affects your spine over time. The discs between the bones become dehydrated and begin to collapse, ligaments weaken, and joints in the spine begin to degenerate or become arthritic. Any one of these changes, or their combined effect, can lead to vertebrae slipping out of place. Degenerative spondylolisthesis often causes spinal stenosis, or narrowing of the spinal canal, which ultimately pinches the nerve. Spondylolytic spondylolisthesis occurs when one of the bones in your lower back breaks, causing the bone to slip forward. This condition is called a pars fracture, because it occurs in an area of your spine called the pars interarticularis. While women are more likely than men to develop degenerative spondylolisthesis, men have a higher chance of a pars fracture. Spondylolytic spondylolisthesis often doesn’t cause pain. When symptoms occur, you’re likely to have generalized low back pain that is sometimes accompanied by leg pain. Nonsurgical treatment doesn’t repair the problem, but it may relieve your symptoms. Conservative measures may include physical therapy, medication, and steroid injections to reduce swelling and pain. Surgery may be considered for degenerative spondylolisthesis after three to six months of conservative treatment, while Dr. Shulman may recommend waiting six to 12 months to see if nonsurgical therapies relieve symptoms of spondylolytic spondylolisthesis. When you decide to undergo surgery, your spine is decompressed to alleviate pressure on your nerves, then the vertebrae are fused. Depending on the location of your slipped disc, Dr. Shulman may be able to perform your procedure using minimally invasive surgery. If you experience symptoms of spondylolisthesis, call The Florida Center for Minimally Invasive Neurosurgery or book an appointment online.